Location, Germiston, East Rand, Job Type Part-Time. English, Afrikaans, Maths, Science, and Accounting from Grade R-12. You will be required to teach a class of maximum 6 students ... for every class that you teach.R1200 - R1400 PER MONTH FOR EVERY CLASS THAT YOU TEACH. 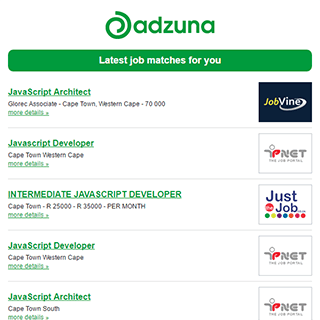 Companies presently offering Teacher jobs in Gauteng include University of Pretoria, American International School of Johannesburg, Raizcorp..
18 new job listings for this search have been found in the last calendar day, compared with 34 in the last 72 hours and 43 in the last week. Get the latest Teacher Jobs in Gauteng delivered straight to your inbox!